A powerful antioxidant and anti-inflammatory food that has been around for centuries, flaxseed helps fight health conditions ranging from constipation to heart disease, diabetes, and cancer. Ready to add this superfood to your diet? When it comes to purchasing flaxseeds, purchasing whole, unground flax is your best option. Once ground, more surface area is exposed to oxygen, and because flax is comprised of lots of healthy omega-3 fats, the more exposure those fats or oils have to oxygen, the quicker they will spoil. That being said, if your local market only sells ground flax, don’t let that keep this superfood from your diet. Check the expiration date, buy as fresh as possible, and store properly. In addition to oxygen, light and temperature can also cause the natural oils in flax to go bad. Store in a cool, dark place, preferably your freezer, and especially if your flaxseed is pre-ground. Many of your recipes will likely call for ground flaxseed. Again, ground flax has more surface area which also means that your body can better absorb its nutrients. I buy whole flaxseed, grind about 1 cup at a time, and keep both the unground and ground flax in my freezer. 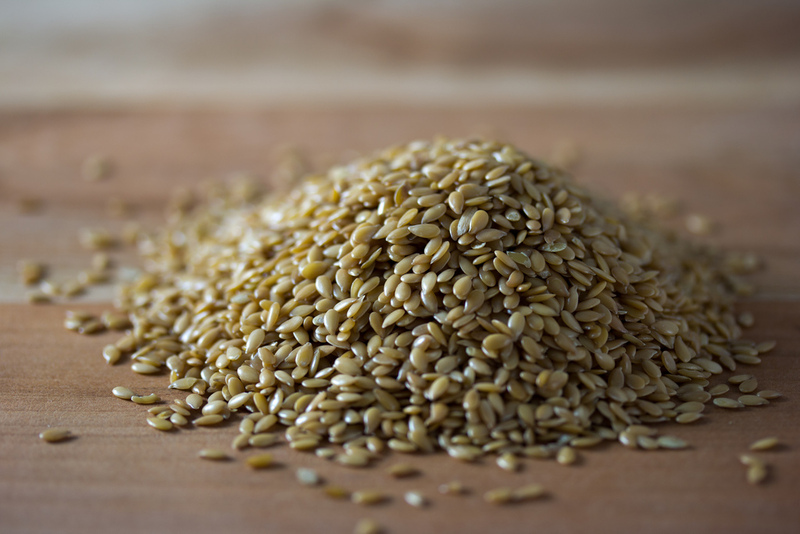 Whenever I want to add flax to a recipe – a smoothie, my morning oatmeal, a salad, or in baking, I just measure what I need from the container of ground flaxseed. Only grind what you’ll eat in about a week. To begin incorporating flax into your diet, start with 1 teaspoon a day. Work your way up to 1 tablespoon. Flax absorbs water and makes liquids thicker, particularly the longer it sits. If you decide to add ground flax to your smoothie, it’s best done just before drinking. A great late night treat is Flax Pudding, a simple mixture of flaxseed, water, nut milk, cinnamon, and sweetener. Add whatever fruit you have in the house, stir, and enjoy something sweet and good for you. Combine the ground flax with the water and coconut milk, stirring until thoroughly combined and no lumps of ground flax remain. Add the cinnamon, and sea salt, followed by the blueberries. Enjoy! Thanks for all of the information on how to use flax seed. I put flax seed in my smoothie everyday as you mentioned and I will put this recipe on my must try out list. Sure ground flax seed is best… but how do you grind it? What with? We grind flax seeds with a coffee/spice grinder or, for the non-electrical option, a pepper mill. Both are small enough to do the job on such little seeds; just make sure to wipe out the coffee grinder beforehand so you don’t have coffee or cumin flavored flax meal!